Hugh Michael Jackman, commonly known as Hugh Jackman, is a famous Australian film and television producer, voice actor, singer, as well as an actor. To the public, Hugh Jackman is perhaps best known for his portrayal of the fictional superhero Wolverine in the “X-Men” series. Since the release of the first film in 2000, “X-Men” has become one of the most popular superhero series. As a result of this, one of the fans’ favorites, Wolverine, developed with his own movies. In 2009, a film entitled “X-Men Origins: Wolverine” was released as a prequel to the series, focusing on Wolverine’s past and his road to becoming a mutant. Upon its release, the film received rather mixed reviews, yet it managed to gross more than $373 million at the box office. The second film entitled “The Wolverine” came out in 2013, this time to rather favorable critical reviews. In addition to that, “The Wolverine” grossed approximately $415 million, making it the third highest-grossing film in the series. Aside from “X-Men”, Hugh Jackman is known for his roles in “Les Miserables” with Russell Crowe and Anne Hathaway, “Real Steel” and “Van Helsing” starring Kate Beckinsale, to name a few. A well-known actor, how rich is Hugh Jackman? According to sources, in 2013 his earnings amounted to $55 million, while in 2014 he earned a salary of $18 million. In regards to his overall wealth, Hugh Jackman’s net worth is estimated to be $100 million, most of which he has accumulated due to his acting career. Among his valuable assets is his apartment in New York City, which cost him $19 million. Hugh Jackman was born in 1968 in New South Wales, Australia. Jackman studied at Knox Grammar School, and later enrolled in the University of Technology, from which he graduated with a bachelor’s degree in communications. Jackman then went on to study at the Actor’s Centre, and also began his studies at the Western Australian Academy of Performing Arts. Soon after graduating, Jackman received an opportunity to appear alongside Neil Melville and Deborra-Lee Furness in the television series entitled “Corelli”. After that he focused on theatrical performances, and began his musical career. 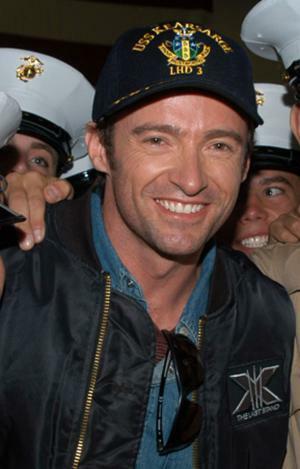 Jackman rose to prominence in 2000, when he was cast to star with Patrick Stewart, Ian McKellen, Halle Berry and Anna Paquin in Bryan Singer’s “X-Men”. As a result of his growing fame, Jackman was offered acting jobs in “Scoop”, which was directed by Woody Allen, “Australia” with Nicole Kidman, and “Prisoners” starring Jake Gyllenhaal, Viola Davis and Melissa Leo. However, Jackman did not abandon theatre, so he has appeared in numerous musicals and performances on Broadway since then. Currently, Jackman is filming for an upcoming fantasy film directed by Joe Wright – “Pan” -S and an upcoming sci-fi film entitled “Chappie”. In regards to his personal life, Hugh Jackman has been married to Deborra-Lee Furness since 1996. The couple met on the set of “Correlli” in 1995. Together, they have 2 children, namely Ava Eliot and Oscar Maximillian.